Leadership is a response to a need for someone to step up – Phathizwe Malinga! Home/Latest News/Leadership is a response to a need for someone to step up – Phathizwe Malinga! SQWIDNET is the premier network provider for the Internet of Things in South Africa. It is based on the SIGFOX standard, which enables a multitude of low-cost, low-power devices to monitor or respond to events in the environment and to exchange data with each other and with operators and users – all to make life easier, safer, more convenient, and more streamlined. 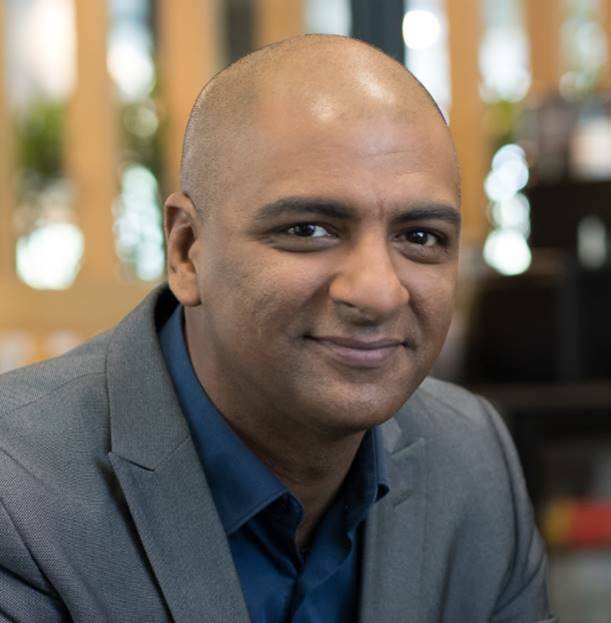 The African Professional Magazine spoke to Chief Solutions Officer at SqwidNet Phathizwe Malinga; he is responsible for developing the strategy and connected devices solutions divisions for SqwidNet, a subsidiary of Dark Fibre Africa. 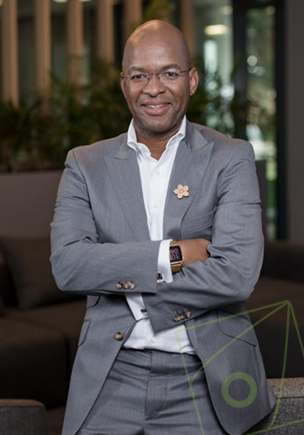 Malinga is no stranger to the role of a strategist, as he consulted with both Max Healthcare and Life Healthcare Group in his previous position with the organisation. He has been involved in the information technology and telecommunication industry for over two decades, having held senior management level positions. In his previous role as Head of Application Strategy at Life Healthcare Group, Malinga oversaw the IT Application strategy and Software Development for the group. He completed his Executive MBA from the Graduate School of Business, Cape Town and he is also a Guest Lecturer with the university. Tell us about your role Today! I’ve been in Software Development, mainly as a project manager and head, for almost 20 years. I spent time in the telecoms industry working on billing systems, then have spent the last 10 years in healthcare creating and growing their hospital management system. Today, I find myself heading up the solutions space for SqwidNet, a fairly new start-up focussed on providing South Africa’s first nationwide IoT network. What does it mean to you that your colleagues have entrusted you with the position of Chief Solutions Officer (CSO)? It is always an honour to be trusted, and the validation that comes with it. To me, it means to remain humble enough to be able to serve my colleagues in the way that they hope I will, rather than to become drunk with power and no results. We are a start-up, and only results will get us out of the gates, so it also means that I am accountable for results. What would you like to have achieved by the end of your term as CSO? I would like for SqwidNet, in the long-term, to be known as the company that makes IoT simple. 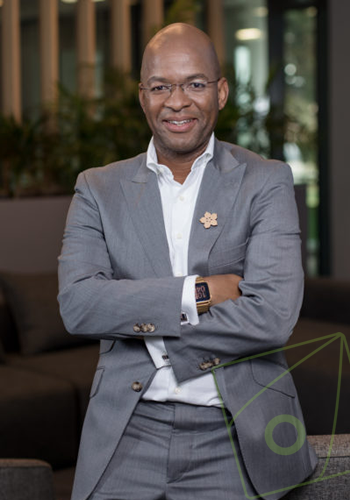 As such, I would like to produce simple solutions that enable our customers and end users to benefit fully from being IoT users, in a way that gives South Africa a better quality of life. I am a servant, first and foremost. My upbringing, my background and even my name allow for me to claim this as my raison d’être. And then, I am forceful, opinionated, demanding and fair. Leadership in my opinion, is a response to a need for someone to step up. Standing up doesn’t make you a leader. Remember what you stood up for, and doing that work unapologetically, is how I’d like to be seen. What makes you tick or keeps you awake at night with respect to your position as CSO? Simplicity. How do we keep our solutions simple? For our customers, for our users, and most importantly for the people that will have to scale and maintain IoT in South Africa, our staff. And once we get it right, how do we repeat success in an ever changing world? Mentoring can be both an explicit activity and an inherent part of how one works. I subscribe to the latter. I believe in mentoring in the work, elbow deep, immersed in complexity. When I answer “how” questions, I like to be standing in the mess. There is a book called Superbosses by Sidney Finkelstein that contains the ideals I aspire towards. In terms of explicit mentoring, I work with MBA students at the GSB, and I now intend to get back to my mentoring high school scholars work through the Alexander Education Committee. Lows are learning opportunities, right? They humble you. So I have these almost every year, from not firing an employee for sleeping in their car at work to projects that end before their deliver value to the end user. I don’t internalise these lows, I rather try and learn from the lessons I reflect on when they happen. And I guess that leaves me feeling like I don’t really have earth-shattering lows at work. The highs, I try to relish. I have worked with phenomenal developers throughout my career and watching them blossom from “drenched in potential” to “confident with scars” remain my highest highs. Sqwidnet has been voted 2nd for the fastest network rollout by Sigfox, our global technology provider, out of 35 countries. We now cover 54% of the population and are on track to cover 85% by end of this year. On a personal note, I recently completed my EMBA and graduated from UCT. We, as an executive team, are very demanding of ourselves and our teams. As it stands we remain ahead of own targets, and remain confident that we will get better still. With Sqwidnet being part of the Dark Fibre Africa family, we inherit all of these values from our parent company. This forms a great basis. Then each of the staff that have joined the company have been handpicked to have this trait high amongst the other. Finally, with Sigfox as our technology partner, it affords our customers transparency to what we do. Transformation is very important for South Africa, and at SqwidNet, it is a big driver in who we hire, including our interns. Reshaad, our CEO, and the company’s executives are 100% ACI. ACI preferred candidates remain a hiring policy of DFA and of SqwidNet. As an IoT platform, SqwidNet allows for South Africa to deal with a number of its challenges, especially at a local government level. From “below the ground” to “above the ground”, our technology allows for smarter industry. From mining to agriculture, to manufacturing and logistics, to home and security. As a company, we speak regularly at conferences in order to educate the market on what is here now. We will spend the next year developing our corporate social initiatives to take advantage of the technologies as we enable them. We are speaking to a few NGOs already, and will be able to say more in the coming months. We also provide free connectivity to universities, learning institutions and students. Just get hold of us on our website. The executive team at SqwidNet is all ex-corporate. So we have been exposed a fairly high-level of bureaucracy, and we maintain this in our new venture, in a way that doesn’t get in the way of “nimble”. We keep in touch with all of our customers regularly, and mostly weekly. 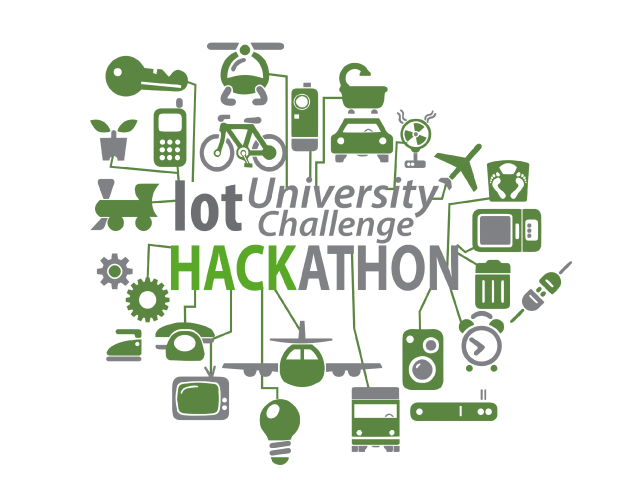 We provide free technical and consulting services, especially when they have to go pitch IoT to their customers, and we are evangelists of local Sigfox manufacturers and system integrators. You can find us on www.sqwidnet.com, and you can learn! By SqwidNet| 2018-06-26T14:22:29+00:00	January 16th, 2018|Latest News|Comments Off on Leadership is a response to a need for someone to step up – Phathizwe Malinga!